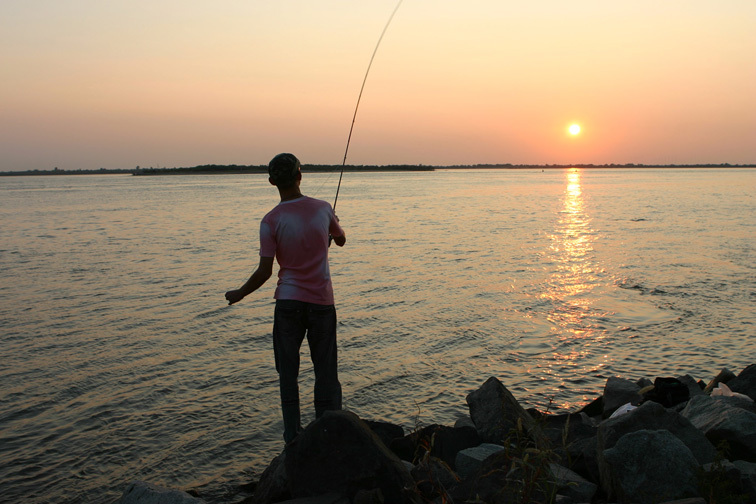 The tail of the baitfish imitations is normally 1,5-2 times longer than the fly body. The tail is made out of soft materials like Marabou or some synthetics, sometimes mixed with flashy fibers. Too stiff a tail makes the fly «lazy». The body of fish imitations I normally wrap with Pearl Flashabou on top of silver foil, and then covered with clear finish. Bigger size flies and insect imitations can have body of chenille or dubbing. The final painting of the back with waterproof markers makes the fly similar to the fish you want to imitate. Waterproof paint is another solution for the body cover. The wing is made only on some flies, which need wider silhouette of the fore part. For instance, it is possible to tie to its back two soft feathers — same way as when you work on Matuka fly. Stiff feathers worsen the fly action. 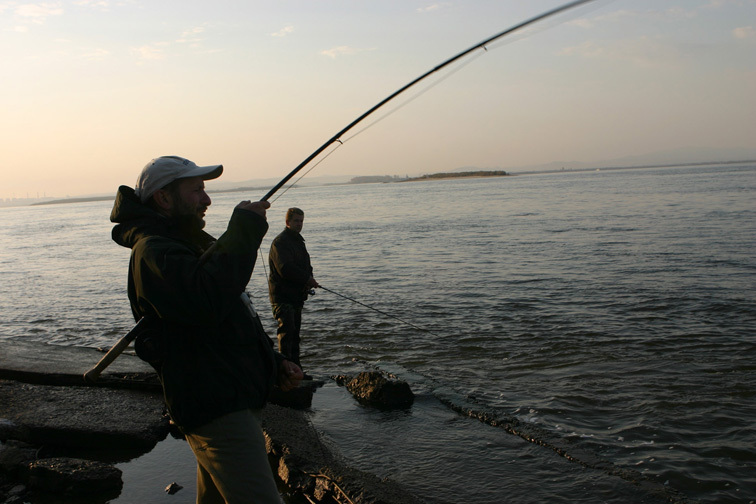 Anti-wobblers were catching fresh pink salmon in both sea and river. Comparing with normal wobbler-flies, the Antiwobblers do not need the buoyant foam back; many of them I make with no foam at all. The flies with no foam have good action as well, but the ones with foam move differently. On retrieve they come up faster, move higher than the fishing line, and have wide sweeping action. On the contrary, the flies with no foam have higher frequency of vibrations, and do not pull to the surface too much. Red throat is an important element of different fish imitations. You could either tie in a little bunch of a red fibrous material, or use some red paint.